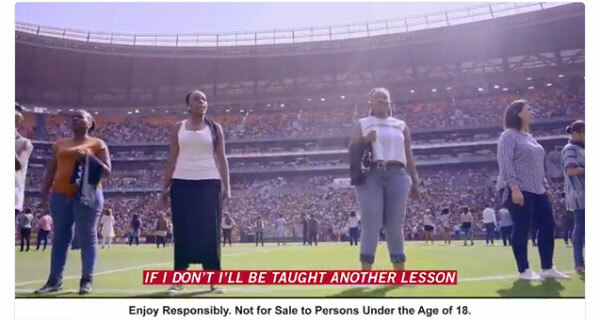 On SA’s Human Rights’ Day, it seems apt to include this great piece of marketing theatre by SAB and its Carling Black label brand…. THE incidences of femicide in South Africa is five times the global average and one in five women are assaulted by their partner. It is a problem that has a devastating impact on the lives of individuals and families, in South Africa and in every country around the world. A bold new movement, called #NoExcuse, launched in late 2017, is a long-term, five year initiative, with the inaugural supporters being Carling Black Label and Takuwami Riime! – a consortium of non-governmental and civic organisations that focus on driving positive change amongst South African men. The holistic approach is aimed at driving awareness, creating conversations and providing tools for people to take positive action as a means of driving a change. #NoExcuse refers to there being no excuse for men to perpetrate any form of violence, and no excuse for people to stand by and do nothing when others abuse. Andrea Quaye, Vice President Marketing, SAB and AB InBev Africa, says: “Our decision to be an inaugural supporter of the #NoExcuse movement was driven by Carling Black Label’s status as a beacon of masculinity. “As the largest beer brand in the country, it is our responsibility to ensure alcohol is consumed responsibly and to use the power of our brand to challenge South African men and our consumers to take action. “While many consumers of alcohol drink responsibly and in moderation, it is clear that some people who commit acts of violence have consumed, and often misused, alcohol.